King Veterinary Hospital | David R. Bowen, D.V.M. King Veterinary Hospital and Dr. David Bowen have been providing compassionate veterinary care for King, NC and the surrounding area since 1986. Our hospital is staffed by a group of competent and concerned animal lovers with over 50 years of animal care experience. We strive to provide your pet the best and most compassionate care possible. Services we provide include preventative and wellness care tailored to young, middle-age, and senior pets, diagnosis and treatment of sick patients, anesthesia and surgery, dentistry, radiology, and laboratory services. We also provide boarding services for our clients. We have office hours on Saturday morning until noon and until 6 pm on weekdays to help accomodate busy schedules. We see patients by appointment so that we can more easily give each patient the time and attention they need. In order for us to give each patient the attention it needs, please call for an appointment. LIVE A LONG AND HAPPY LIFE! A complete yearly exam is important for monitoring the health of your pet. Our pets age at a much faster rate than people and regular exams allow for early detection and treatment of disease processes. Vaccinations are one important way of preventing serious disease in your pet. Rabies vaccines are legally required for all dogs and cats in North Carolina. We recommend other vaccines based on the lifestyle, environment and risk factors of each individual pet. Our new Vet Lab in-house laboratory allows us to process lab results quickly, so diagnosis and treatment can begin sooner. We also provide testing for heartworms, tick-borne diseases and intestinal parasites, pre-surgical testing, fungal culture and urinalysis. 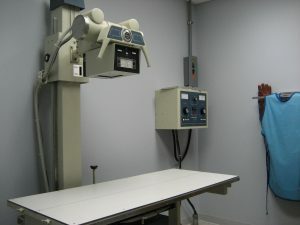 X-rays help us evaluate musculoskeletal, cardiovascular, gastrointestinal, reproductive and urinary systems for disease processes. Both external parasites, like fleas, ticks and lice, and internal parasites, like heartworms or intestinal worms, can be the source of serious diseases in pets. Some of these parasites may also be contagious to people or carry diseases that may also infect people. We can recommend parasite testing, control and prevention programs for pets at all ages. We diagnose and treat patients in all areas of medicine including infectious disease, dermatology, neurology, cardiology, gastroenterology and urinary disease. We also have regular consultation or referral to veterinary specialists when necessary. Periodontal disease in animals is a serious, painful, and progressive problem that can lead to infections of the liver, heart, and kidneys if left untreated. Regular professional dental cleaning is important to maintaining your pet's health. Dental cleanings are performed under the same safe, balanced anesthesia that is used for surgical procedures. We use ultrasonic technology to clean all tooth surfaces. The teeth are then polished to help slow down reformation of plaque. We can perform minor extractions. More serious extractions, restorations or endodontics can be referred to a specialist. We can also work with you to develop a regular home care program. We are equipped to provide a wide range of soft tissue surgeries for your pet. 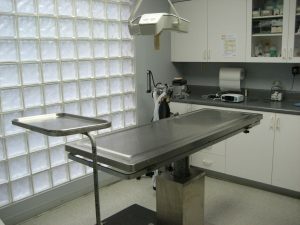 We can also do minor orthopedic procedures. For more complicated orthopedic and soft tissue surgeries, we may refer you to a surgical specialist. We use a combination of injectable drugs and gas anesthesia to provide a safe and pain free surgery with a quick recovery. We use electronic monitoring to assess your pet's condition during anesthesia and to ensure its safety. A microchip is one of the best ways to permanently identify a pet. They assist in the return of thousands of lost and stolen pets each year. A microchip with a unique code is inserted under the skin with a needle. The chips can be read with a scanner at any animal shelter or veterinary hospital and compared to a national database. We can help you make good nutritional choices for your pet based on its age, activity levels and medical condition. We also carry arange of prescription diets made for specific medical conditions. Bathing services are provided by appointment. We do not have a groomer on staff, so we cannot bathe animals with matted coats.Medicated baths are available for specific skin conditions. We do provide boarding as a service to our clients. 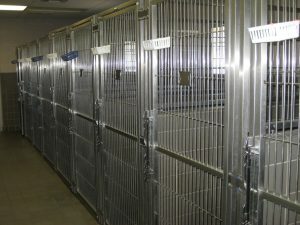 Our kennels are climate controlled with separate areas for cats and dogs. All animals receive individual attention during the day. Dogs have the opportunity to exercise in an enclosed area at least twice daily, weather permitting. Saying goodbye to a beloved pet is a difficult and emotional decision. We work with clients to ensure their pet's death is as pain-free and compassionate as possible. We can also be responsible for taking care of the remains as directed by the owner. ©	King Veterinary Hospital. All rights reserved | Site by: NVIZION, Inc.